Welcome to the Ambat Family Homepage. Ambat Family is one of the most respected and revered Nair/ Menon families of the Chittur taluk of the erstwhile princely state of Cochin , later to be part of the Palakkad District of the Kerala state. I claim my maternal legacy to this family. Ambat family was originally based in Ayilur village from where it migrated thirty-five kilometers eastward to Chittur about 450 years ago. The name Ambat is supposed to have been derived from the words “Ambaya Aattom” meaning the place where Amba alias Amma (Lakshmi) plays, the place where Amba’s (Lakshmi’s) presence is always felt. 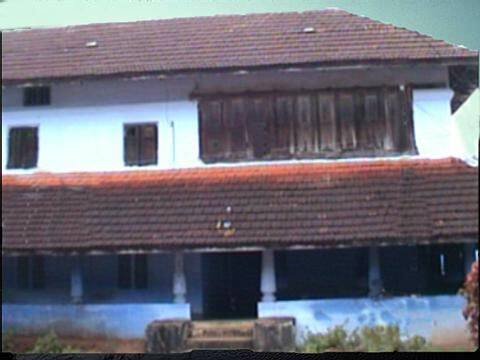 In fact the tharavad house was first known as Ambat Bhavanam. Ambat family processed extensive property at Ayilur village, where their paddy alone yielded 1000 paras of grain every year. Adjacent to the fertile fields was the residential land on which stood several cottages. In one of these stood the house of one Pannikkar who founded the Kalari ( the gymnasium where martial arts like Kalaripayattu are thought ). 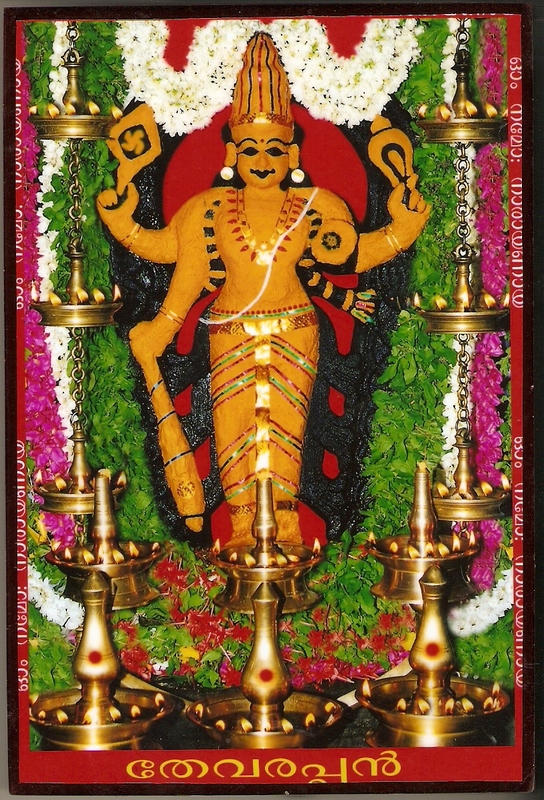 The idol of Narayana Swami ( Lord Vishnu) was installed there and regular Poojas were performed with religious fervor. Legend has that Lord Vishnu ones appeared before the Pannikkar and blessed him. Another attraction of the Ayilur temple is an ancient Siva temple where the idol is believed to have been installed by the puranic Karan Rakshasa. Members of the Ambat family were regular worshippers of this temple and even after leaving Ayilur they used to regularly visit and offer their prayers to both these temples. There is no record to show when exactly the Ambat family moved out of Ayilur village and settled down at Chittur town. In his Malayalam book on Kongan pada, Sri P.R Menon of the Puthukulangara house published in the year 1928 refers to the arrival of the Ambat family to Chittur some 350 years ago which indicates that some if not the entire tharavad moved to Chittur in the latter half of the 16’th century. Ramachandran, a scion of the Ambat family is said to have stolen some money from the house at Ayilur and fled the village to escape the wrath of the Karanavar who in those days were feared and respected. When the young man arrived in Chittur town, he stood aghast at what he saw in front of the Taluk Office. The venerable Karanavar of the wealthy Variath House was sweating it out with a heavy loads of stone in his back. That he learned was the punishment for not paying the taxes regularly to the government. It was not unusual in those days to auction the immoveable assets of the tax defaulters. As nobody came forward to buy the property, Ramachandran who was outraged by the humiliation meted out to the Karanavar decided to bail him out. Shelling out the money that he has stolen from the Tharavad, he repaid the entire debt and bailed out the Variath Karanavar. Meanwhile furious about the theft and anxious about the whereabouts of Ramachandran, the Ambat Karanavar set out in search of Ramachandran. By the time he reached Chittur, what Ramachandran did to bail out the Variath Karanavar was the talk of the town. Ambat Karanavar was pleased and proud with the selfless acts of his nephew. Soon the Variath Karanavar who had vast estates in Chittur town gifted the vast estate of Kuttipallam to the Ambat family. Kuttipallam in those was forested land which was cleared by the Ambat Karanavar and he started paddy cultivation in tracts of land. In the next 200 years the Ambat family acquired more and more land in and around Chittur town. Fearing Tippu Sultan’s invasion, many Namboothiris who owned most of the land in Chittur fled the place and the land was acquired by the Ambat Karanavar which formed the prime location in the heart of Chittur town. He constructed a Nalukettu using the teak bought from the estates from Kuttipallam and also built a padipura which to this day stands testament to those glory days in the heart of Chittur town. The generous Karanavar built and gave away free houses to the laborers who toiled to make the magnificent buildings which later came to be known as Ambat Palayam. Having built the Nalukettu at Chittur, the Karanavar went back to Ayilur to offer his salutations to the Narayanaswami temple seeking blessings of the Ambat family which had decided to shift to Chittur. At the time the Pannikkar who was running the Kalari had an ull villi (inner divine revelation) and declared “In the temple well near to your new house at Chittur, you will find idols of Lord Shiva and Vishnu. Recover these two idols, install the idols in the temple and offer daily prayers to the gods. It is said the temples has been demolished and idols dumped in the well by the fleeing Namboothiris who did not want the idols to fall in the hands of the Tippu Sultan. Piously complying with the divine directive, Ambat Karanavar got the idols recovered and ritually installed in the temple. Ambat family members having been regularly performing Poojas and offering prayers at this temple from the time they settled down in the tharavad at Chittur. The fortunes of the family since have been closely linked to the Chittur town which is situated in the banks of the Chitturpuzha river. A doctor of repute, he was born on March-10, 1884. Graduating in medicine from Madras University, he went to England for further studies. He passed MB, ChB (Edinborough) and spent 14 years in England where he was held up during the war. He worked Ireland for a decade qualified as a surgeon and worked in hospitals in Glasgow hospitals. He had several medical degrees to his credit and was one of the leading surgeons of his time. 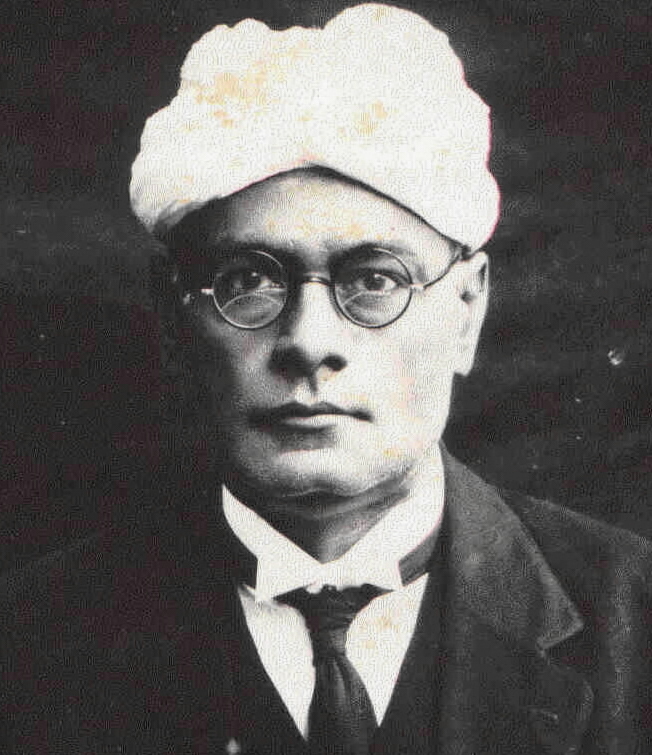 He returned to India in 1921 and set up his practice at Trichur. He had two able assistants, Dr P.N Vaidyanatha Iyer and Dr M.N Menon, his uncle’s son. In course of time, both the junior’s branched off and set up independently in Trichur and Ottapalam respectively and became prominent doctors in their own right. Dr A.R Menon took keen interest in social services. He entered politics and was an elected member of the Cochin legislative assembly for many years. He was elected Chairman of the Trichur Municipal Corporation for here consecutive times. He resigned the Chairmanship in protest against the granting of supply of electricity to the Chandini Company by then the Dewan of Cochin, Sir R.K Shamugham Chetty. When diarchy was introduced in Cochin on lines with the Montague-Chelmsford reforms in British India, elections was fought on party lines and Cochin congress in which Dr A.R Menon came to power and it’s leader Ambat Sivaraman Menon who was his cousin became the minister of rural development. Due to the untimely death of Ambat Sivaraman Menon, Dr A.R Menon became the minister of rural development on September 15,1938. He resigned in 1942, shifted to Palakkad and started a nursing home, The Kerala Nursing Home which to this day stands testament to this great visionary at Palakkad. He became member of the Palakkad Municipality and later became it’s chairman. When Kerala was formed, he was elected from the Palakkad constituency, and became the minister of health in the first E.M.S Namboothiripad ministry. Dr Menon was also a member of the Madras Senate. He was he member of the All India Congress Committee for the state of Cochin . Dr A.R Menon was engaged to Madhavikutty, daughter of his uncle Dr A.G Menon before leaving for Britain for higher studies. She passed away before he returned. On his return, he married Kamalam, daughter of Rukmini Thangachi and Sree Narayana Thambi. Dr A.R Menon passed away on October 9, 1960. Ambat Sivaraman Menon was born as the second son of Ambat Ikkali Amma and Chempathil Nanu Mannadier in the year 1878. Graduating from Madras Law College , he practiced at the Madras High Court and won acclaim as a brilliant lawyer. His forceful arguments, ready replies to the judges’ queries’, vast knowledge and prodigious memory were all legendary. He was referred to as the walking encyclopedia. An authority in Hindu Marumakkathayam Law, he served as the examiner in law examinations at the Madras University . Though a man of serious pursuit, he was always witty relaxed. He was also known for his patience and tolerance. One of the pioneers of co-operative movements in India, Sivaraman Menon was one of the founders and at many times the president of the Triplicane Urban Cooperative society, the first cooperative society started in the country. He was the president of the Cochin Land Mortgage Bank. In the society of Freemasons, he was elected as the worship master of Lord Justicia. Sivaraman Menon was one of the founders of the justice party and editor of the party newspaper, The Liberator. When in 1936 he was elected to the Cochin Legislative Council from the Mulamkunnathukavvu, constituency, he retired from active legal practice and settled down at Thrissur. Two years later when reelection was held under diarchy, he was again elected from Cheruthuruthi. As a leader of Cochin congress, he was appointed minister of rural development on June 17’Th, 1938. He was the first elected minister of an Indian state. He passed away due to Cardiac arrest on August 30’Th on a visit to his home town of Chittur. Dr A.G Menon was the youngest son of Thulu Amma. He was a doctor who set up his practice at Palakkad. In those days doctors were few and he had built a roaring practice. He used to travel in horse drawn tongas. Where ever the tongas could not go, he used to travel by Palanquin ( Manchal) carried by men. He used to visit remote villages and was known for his absolute dedication to work. It was not uncommon for him to walk several miles in muddy pathways braving the Malabar monsoon downpours to visit a patient. Legend has it that ones when he was traveling in the palanquin he heard a loud cry from a hut. Hearing the cry, he went into the hut to find a lady in labor with none but her husband to attend to her. Dr Menon got down to work with what ever instruments he had at his disposal and the women had a safe delivery. The husband got down in Dr Menon’s feet and showered blessings on him. He was so well known in the region and he was respected and revered by one and all irrespective of caste or creed. He never demanded any fees but the fees that he received were more than enough for him to lead a luxurious life. His wife would assert that he had two wives, his profession and herself with the first one preceding the second. He was a member of the Cochin legislative council from it’s inception and was also it’s deputy chairman for a term. Dr Menon Dr Menon was married to Chunangad Unnicheri Amma and had six children. Ambat Eachara Menon was born in on June 8’Th, 1872. He was a graduate and a true Gandhian and a social worker. He was a member of the Cochin Legislative Council from its inception. He was a counselor in The Chittur- Thathamangalam Municipality for many years and the Municipal Chairman in more than one term. The statue in front of the municipal office stands testament to his immense popularity that he enjoyed . He was not an orator but his enduring personality and presence was always felt. He was married to Padinjare Ullattil ( Kozhikode) Kalyanikutty Amma and had a son and two daughters. Ambat Parvathi Amma was the second daughter of Kunju Amma and Thuppalai Sankunny Menon. She married Unnikkandath Nanu Menon but he passed away soon. She was then married to Thachat Krishna Menon popularly known as “Chitturan”. Paru Amma was the Tharavattilamma (The eldest lady of then family) and was once the topmost tax payer of the Cochin state. Such was her popularity that The Maharaja of Cochin ( popularly known as Chowara Thampuran) desired to meet Paru Amma on his durbar trips during a visit to Chittur. Paru Amma received His Highness with a purnakumbham at the gates of her residence, “Gopala Mandiram” She had two daughters. Dr A.N Menon the only son of Ambat Parvathi Amma and Thachat Krishna Menon (Chitturan) was born in the 1890. After completing his MBBS, he started his practice at Madurai and ran a ten bed hospital fully equipped and manned with modern ameneties of the time which included an X-Ray unit, a pathology lab and ECG facility. He was the assistant surgeon in the Irskin Hospital, Madurai, was closely associated with the Red Cross and was the founder secretary of Madurai Medical Association. The title of “Rao Bahadur” was conferred on him in recognition to his services to the community. He was the recipient of the “Silver Jubilee Medal” given to distinguished citizens for their meritorious services. Samuel Ambat born Achuthan stood at 6 feet 3 inches tall left home at the age of 18 years and found sanctuary with a German Missionary at Palakkad. His mother followed him soon after and both embraced Christianity. He became Samuel Ambat, a pastor attached to the mission. He worked at Mangalore , Palakkad and Calicut and many other places and married Deborah, a Mangalore Christian. They had five sons and three daughters. Ambat Sekahara Menon, eldest son of Karthiayani Kettilamma, was born on April 18, 1925. After schooling, he joined the Civil Supplies Department of Madras Govrnment, at Palghat, where he worked for five years from 1944 when he resigned and settled down at Chittur looking after the family property. He started Menon Stores, dealing in stationery and other consumer items. He was member of Chittur Tattamangalam Municipality for nearly fifteen years and Chairman for seven years. He served as director of the Palakkad District Co-operative Bank for eight years, as Director and later President of Chittur Service Cooperative Bank for more than 10 years and President of Palghat Milk Cooperative Association and Chittur- Tattamangalam Milk Supply Cooperative Society which owns the Palazhi Kalyana Mandapam near Chittur Kavu. He was founder-member and Secretary of Farm Wages Committee at the district level and member of the Farm Workers? Welfare Fund at the State level. He is also founder of Palghat District Karshaga Sangham, an independent organisation of which he has been the president for over twenty years. He remained a bachelor till he passed away in October 2002. 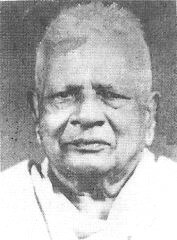 A.Narayanan Kutty Menon (fondly called Kunhumani), was born in 1910 as the eldest son of Ambat Nanikuty Amma and Kambrath Kuttirama Menon. He was an MBBS, with a DMR, DMRD ( London), MS ( Minnesota ) and FCCP(USA). He was a radiologist at the Stanley Medical College Hospital, Madras for a long time under Madras Government service. He retired as Director of Medical Services. An eminent radiologist, he was diagnostic specialist at Barnard Institute of Radiology of Madras General Hospital . He had travelled widely, and had the honour of presiding over the International Radiologist Congress in Tokyo . Many of his scientific papers are highIy rated by radiologists. He was married in 1942 to Devi, daughter of Manjapra Devaky Amma and Parekkat Sankunny Menon. They had no children. Devi passed away in 1951. Kunhumani married her sister, Parvathi (Ammini) in 1952. They have a daughter, Lakshmi, and two sons, Anand Kumar and Arun Kumar. Dr ANK Menon passed away on February 29, 1988. Madhu Ambat was born on April 2, 1949 to Ambat Sulochana and Prof K. Bhagyanath and he is the grand son of Ambat Sivarama Menon. He is a graduate and holds a diploma from the Film Institute of India, Poona, from where he passed out in 1970, securing a gold medal. Madhu's father, K Bhagyanath, resigned as a Professor of English to be a full-time magician. Bhagyanath was an amateur photographer. Bhagyanath and his wife Sulochana believed that one should take the profession one liked best. And all these helped Madhu take cinematography as his profession. 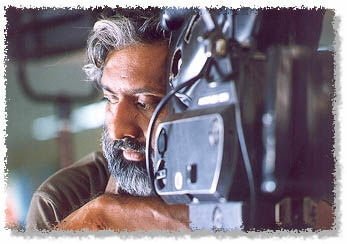 Madhu, who started his career with a documentary for famous director Ramu Kariat, has been cinematographer for over 120 films. Take Bharathan's 'Vaisali' or 'Amaram' or Lenin Rajendran's 'Swathi Thiranal' or 'Kulam' or 'Daivathinte Vikruthikal': All these films give us the impression that more is conveyed through visuals than through dialogues. And that is the success of a cinematographer like Madhu Ambat. There is a picturesque depth in each of Madhu's shots which he attributes to the influence of paintings, especially those of Van Gogh. This influence has turned him into an explorer of inner landscapes and a follower of expressionism. Noted for presenting various moods, Madhu worked with most of the major directors, including M Night Shyamalan. His handling of the camera for Shyamalan's 'Praying with Anger' and 'Wide Awake' has won him international acclaim. It was Hollywood politics which kept Madhu from 'Sixth Sense', against the director's wish. Madhu won the national award for best colour photography in 1984 for G V Iyer's Sanskrit film, 'Adi Sankaracharya'. Films like 'Aswathama', 'Sooriante Maranam', 'Yaro Oral', 'Purushartham', 'Swathi Thirunal' and 'Amaram' brought to him the Kerala state best photography awards while he received the Andhra Pradesh state award for best cinematography for 'Hrudayanjali'. He bagged the Film Critics award for 'Daivathinte Vikruthikal'. Madhu won wide national acclaim for his emphatic presentation of visuals in such films like 'Oppol', 'Nammavar', 'Bhagavat Geetha', 'Thabarana Kathe', 'Uppu', 'Amodini' and others. Madhu, who is settled in Chennai with his wife Latha and two sons Darshan and Rythwin, has established the Fantasia Centre for Research and Development of Cinema. This non-profit organisation strives to spread film culture. Vidhubala, born on May 24, 1954, is a graduate in psychology. An accomplished classical dancer and gifted actress; Vidhubala, who made a splash with Hariharan's `College Girl' in 1974 (10 years after making her debut as an eight-year-old in `School Master') acted in 112 films in Malayalam, Tamil and Telugu, from 1962 to 1978. She may have been reluctant to take up acting as a profession, but she proved that she was more than a competent actor in films such as `Aswathama,' `Rappadikalude Gatha,' `Agni,' `Veedu Oru Swargam,' `Njaval Pazhangal' and `Ormakal Marikkumo.' Vidhubala ended her acting career with `Abhinayam.' She had something about her that the heroines then lacked: the girl-next-door look. As leading lady in a Tamil film, Pennukku Thanmanassu, she won an award (1973). She married (February 2, 1983) Muralikumar, son of Parekkat Saraswathi Amma and Kerala Varma Ammmaman Thampuran of Cochin Royal family. He owns of two theatres in Calicut . They have a son, Arjun, born on December 30, 1984. She is working with her elder brother and leading cinematographer Madhu Ambat on a few projects, including a documentary on Lalgudi Jayaraman. She is also writing a book on her father, Professor Bhagyanath, the famous magician. "He played a crucial role in my career. He, and my mother, Sulochana, both of whom were freedom fighters, wanted me to be a dancer. I was a reluctant actress; I began acting only to oblige some relatives or friends of our relatives," says the great-granddaughter of poet Kundoor Narayana Menon. Although Vidhubala chose to retire as an actress when she was at the peak of her career, she has not severed her links with tinsel town. ? Yes, there have been many offers to act, but I am not interested. Acting is a closed chapter for me, but cinema is not?